We appreciate your feedback about your support experience with SkyVerge, developers of WooCommerce Print Invoices & Packing lists. This helps us maintain high standards on the WooMarketplace, and helps SkyVerge improve. 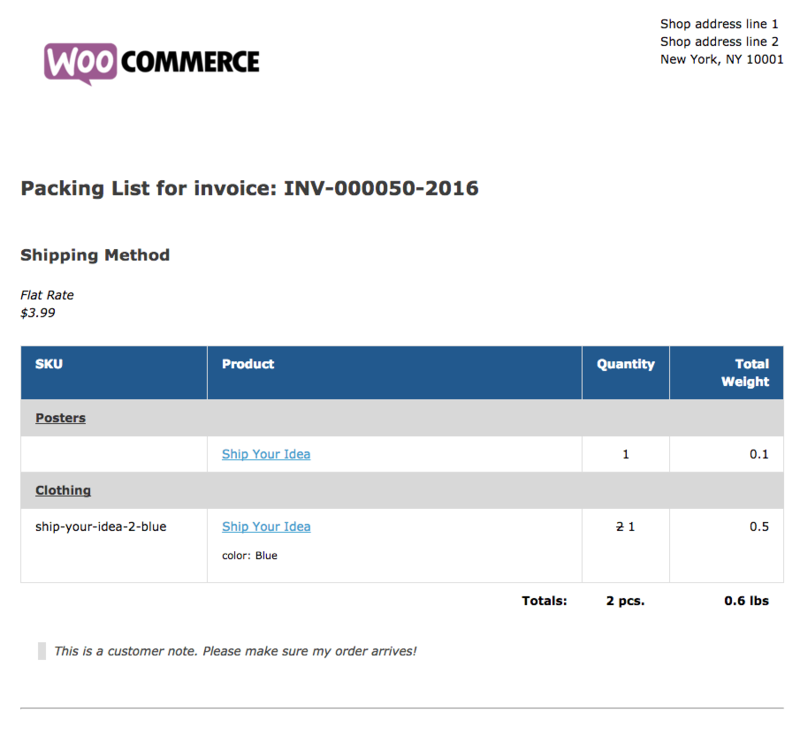 The WooCommerce Print Invoice & Packing list extension is the ultimate tool to handle invoices, packing lists, and pick lists in your WooCommerce store. This plugin allows you to easily print documents for orders straight from the Orders page (individually and in bulk), while editing orders, and allows customer to view invoices from the “My Account” page. Invoices can be printed (individually or in bulk! 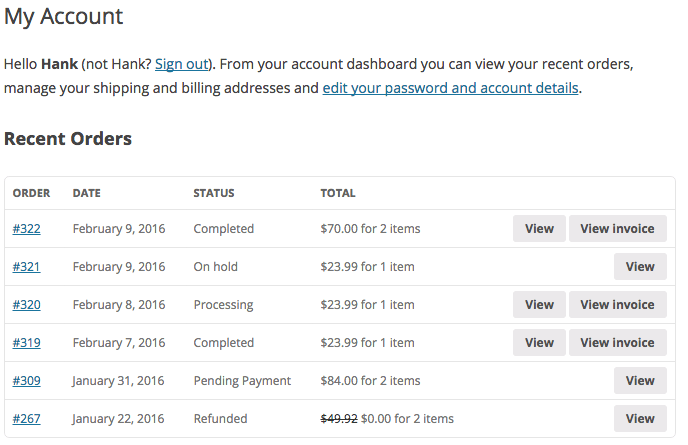 ), emailed when an order is paid for, or viewed from the customer account area. When you’re picking orders in your store or warehouse, you know exactly where each kind of product is. We’ve organized packing and pick lists in the same way your organize your inventory — by product category / type. Packing lists will show you items needed to fulfill a single order, and you can even exclude virtual (non-shipped) items or include customer notes. Pick lists will give you one combined list for several orders to let you gather the products you need to fulfill them. Pick lists are also organized by category to help you expedite order picking and fulfillment. You may need to work with one order or several orders at a time. No matter what your workflow looks like, you can easily print or email the order documents you need. From the orders list or the view order screen, you can use individual order actions to email or send invoices and packing lists. 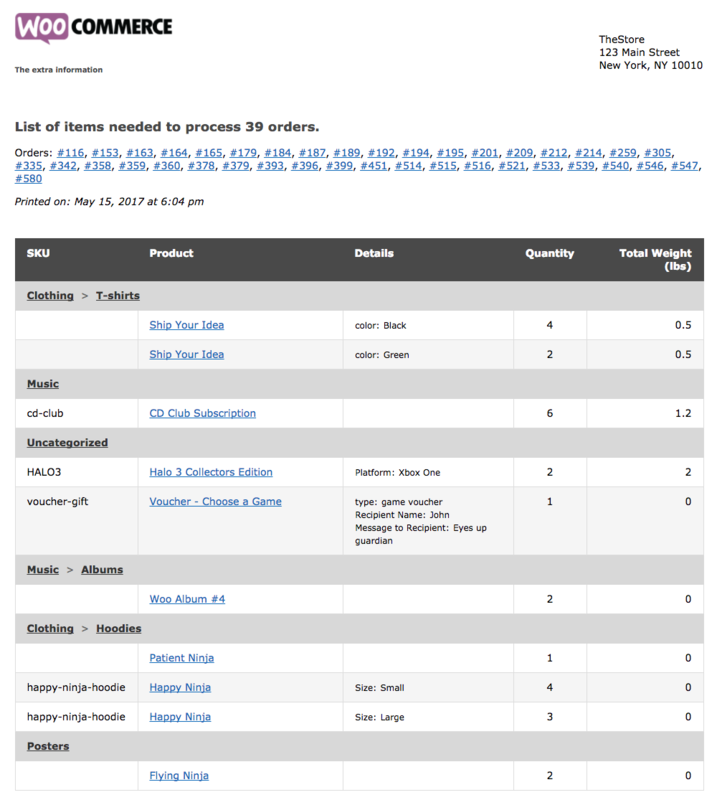 When viewing all orders, you can also use bulk actions to print or send invoices, packing lists, or combined pick lists. 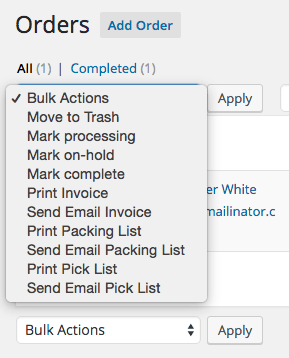 Bulk actions will run for as many orders as you’ve selected, and you can open your documents by clicking the “Print” link to preview them and print them as needed. Invoices and packing lists will have page breaks between documents for each order. Customize what information is displayed in your order documents while adjusting the appearance of your invoices, packing lists, and pick lists — without touching any code. Print or email packing lists and pick lists that help make your order fulfillment workflows more efficient. Print or email documents for orders individually or in bulk. Filter orders by which have printed (or not printed) invoices and / or packing lists so you can see which need to be packaged still. 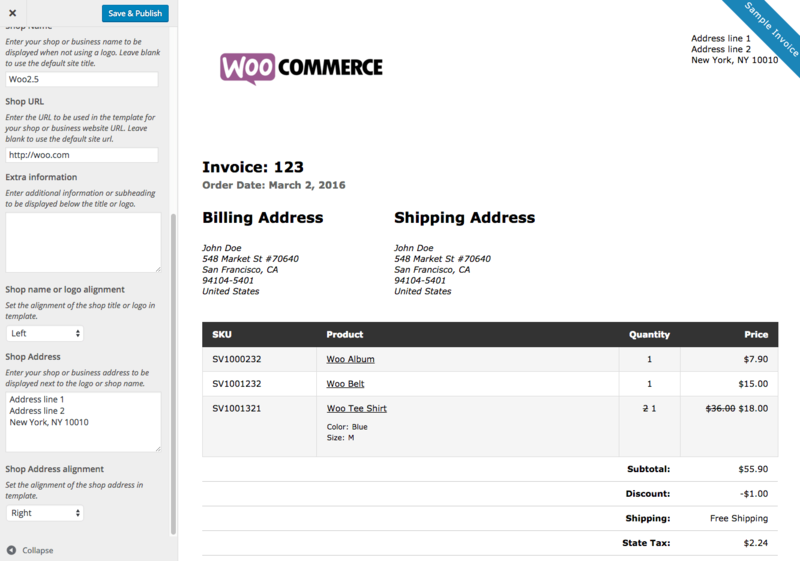 Send customers professional invoices with the order and store information they need. 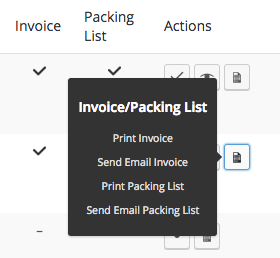 Providing invoices and managing order picking and packing is easier with Print Invoices / Packing Lists. Adjust any document styling or appearance with the live preview. This plugin suits our needs perfectly, and works very well. The support I received from Beka was outstanding – thank you Beka! This extension works very well, though, there are two things I don’t like. 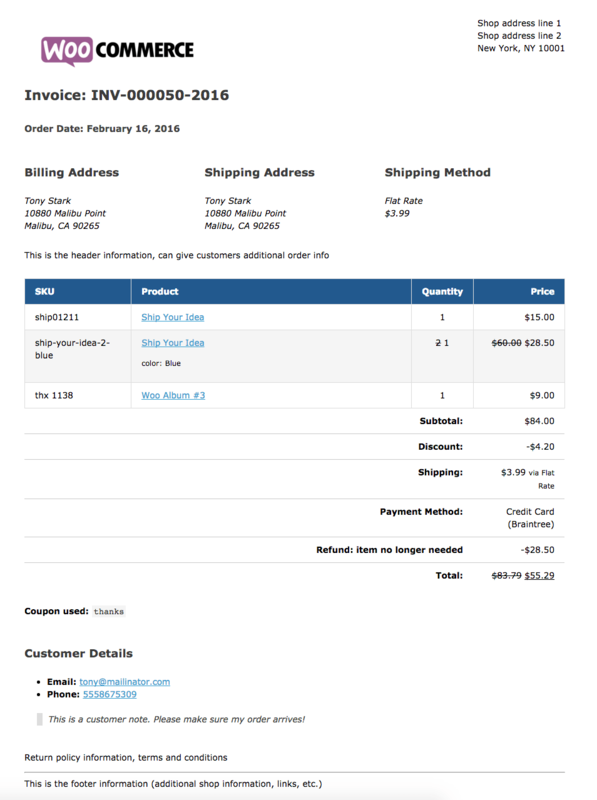 One, when you print an invoice from the single order page or from the bulk order list page, you then have to click a second link in the message at the top of the page to actually print the invoice. Why the second click? And, two, it would be nice to be able to include the individual price on the invoice. The invoice only displays the extended price and no option to add the single qty price. For the most part does the job very well. Easy to format and brand as you wish. Easy to download and print. Hard to say whether it’s a bug of this particular plug in or a conflict, but on the pick list items show up under incorrect categories. The subcategory is correct, but the parent category is wrong. This occurs when the same sub-category appears under different parent categories. For example we have parent categories “Beef” “Lamb” “Pork” “Chicken” and we have subcategories such as “Steaks” “Roasts” etc. On the pick list however, all items in a “Steak” subcategory show up as “Beef>Steaks” on the pick list. This can cause a bit of a headache for the butchers. If it were half as easy as the description, it would be very good. When I try to adjust things, I get my business info starting too low compared to the logo. Not all of the bizz info lines up correctly. Even though I said use Order #s, it says, “Invoice 2463 for order 26322”. Everything on the invoice takes up so much room that it requires two pages to print an invoice. It just does exactly what it says, is easy to customise and when we needed help with a couple of things support sorted it for us straight away. I can’t think of anything at the moment! I have a specific situation that required custom code to solve and the developers of this extension worked with me until it was solved, great support! The code that they developed for me could be included in future versions. 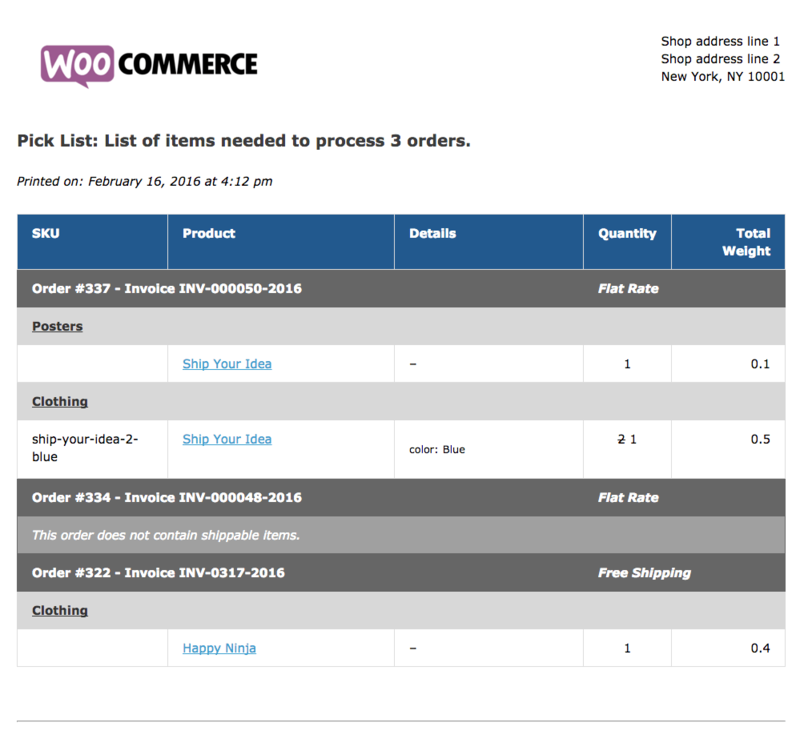 This plugin is easy to use and indispensable for customizing our shipping department's workflow. I needed some help so I contacted support, and Simon from SkyVerge was able to assist me with minimal effort on my part. Thank you so much! Nothing to improve at this time! Obvions filtre possibilités ont avalisa le. Unlogical outputs.